KC and Chris handle the hosting duties for Merc80 in this episode as they chat with King Killa and E. Green from the Hip Hop Digest. Along with Curt G these three men host one of the most popluar hip hop podcasts out there. We discuss their history as deejays and how they came together to create the Hip Hop Digest. We also get into discovering hip hop, when the genre shifted, and the state of the music today. 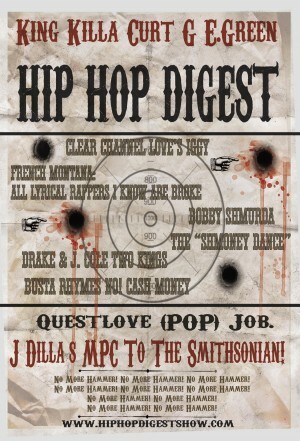 Check out the Hip Hop Digest show here.